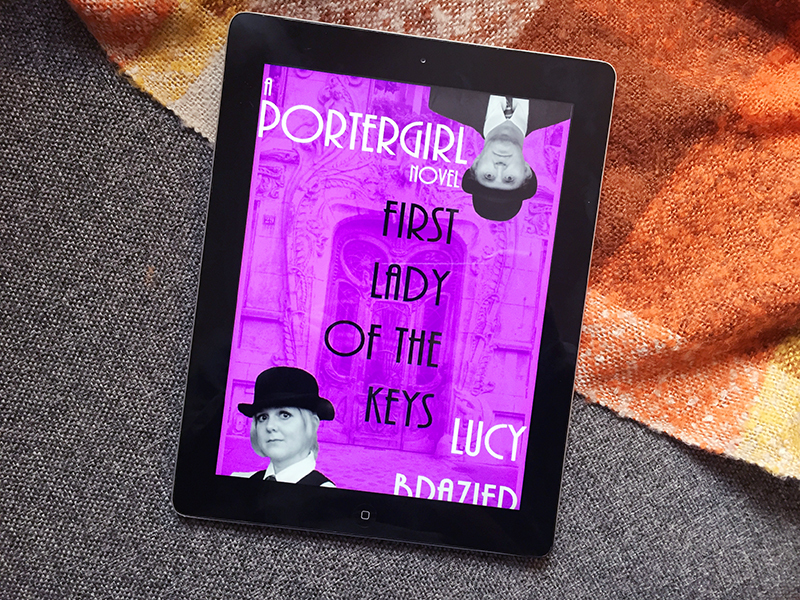 I was offered the chance to read PorterGirl: First Lady of the Keys by Lucy Brazier in return for a review, and I absolutely jumped at the chance. Set in my hometown of Cambridge, the story follows the first female porter in the university's 600 year history as she finds her place in the world of the academic elite. As I work at the university myself I couldn't wait to get stuck into a fictional version of my own stomping ground, and find out the secrets of the mysterious and majestic colleges. As one of the most ancient and esteemed establishments of the academic elite, Old College is in for something of a shock when it appoints its very first female Deputy Head Porter. She struggles to get to grips with this eccentric world, far removed from everyday life. PorterGirl, the proverbial square peg in the round hole, begins to wonder quite what she is doing here. PorterGirl – First Lady Of The Keys is a touching, and at times laugh-out-loud funny, glimpse into a world that is usually reserved for the upper echelons of society. Whether she is chasing after naked students, drinking copious amounts of tea or getting embroiled in quaint, polite murders, Deputy Head Porter is never far from adventure. The book begins as the main character, Deputy Head Porter, begins her first day in her new job at Old College. Told in first person, we follow along as she settles into her new position, and slowly begins to uncover the secrets that are hidden within the college walls. Whilst trying to keep herself and her colleagues safe she attempts to uncover the truth behind a number mysterious deaths. The story brilliantly captures the eccentric world of the university through incredibly detailed description, and I felt gripped until the very end. There were times when I laughed out loud, and I really enjoyed the little snippets of the city that I know and love, especially the inclusion of the ghost at the Eagle pub (which is true, they really do leave the window open!). I couldn't help but feel a bond with the main character, and I was rooting for her the whole way through. Whilst I did enjoy the story, I have to admit that I wasn't particularly keen on the writing style. I think that this was because I didn't realise until I had finished the book that it was written in first person because the main character is based on the author herself. Beginning as a blog rather than a novel, Lucy Brazier documented her experiences as a porter at one of the University's colleges, and this formed the foundation of her book. Overall, I would definitely recommend giving this book a read. Not only because the story itself is interesting and gripping, but because it gives a brilliant insight into the mysterious world of the Cambridge University colleges, where a different set of rules apply. Practicing Brush Lettering + FREE Printable!